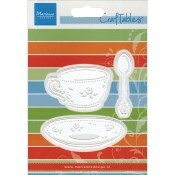 Marianne Design is a Dutch manufacturer of products for card making and other paper crafting hobbies. The company was founded in 1994 by Marianne Perlot and is based in the Netherlands. This is where you will find all of the Marianne Design Product Collections we carry.